Summer is longer this year, which means we've all got a great excuse to buy some new summer shoes! But what are the hottest trends for shoes this season? Wedges are the perfect shoe if you like a heel but still want to be totally comfortable. 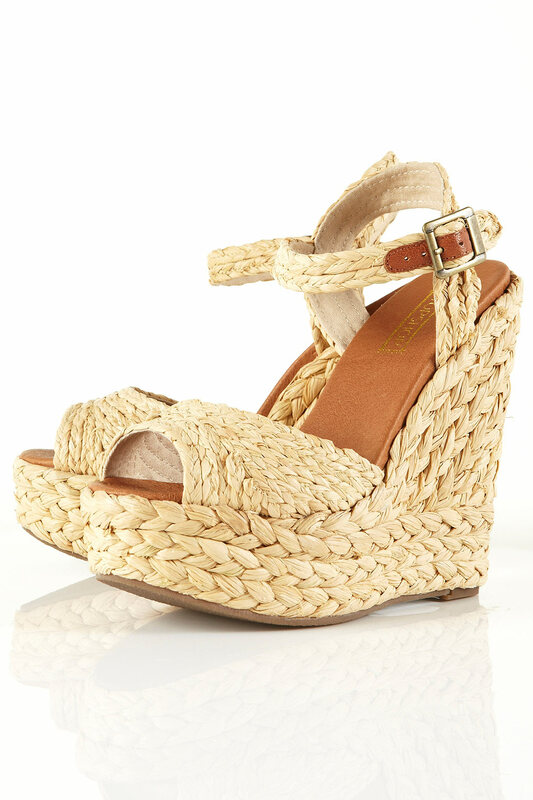 This summer look for raffia and cork heeled wedges or follow the floral trend with a super-stacked wedge covered in a bright floral design. Wedges will look great with your shorts or a maxi dress and are the ideal shoe to take you from daytime right through to evening. marc jacobs bow sandals. so cute!!! Gladiator sandals have been around for a good few years now but you can update the look by choosing them in bright acid colours like electric blue or hot pink. Gladiators are ideal if you want to get the sports luxe look. Team them with a bodycon dress or block colours in clashing hues and plenty of chunky jewellery. The 'just got off the yacht' look is always popular in summer and this year espadrilles will be big news. Wear simple espadrilles with tailored shorts and a fitted look for a preppy style. Or pretty things up with a pair of Skechers in sunny colours, adorned with bows if you prefer. cute sequined espadrilles from Skechers!!! This summer’s heels have a distinctly sporty influence. Try an electric blue stack heel with contrasting ‘go faster’ stripe or heels made from more sporty materials, such as those commonly used in trainers. The Union flag is all over the high street this season but if you don't want to go top to tail in red, white and blue then you can sport the coolest flag in the world with some Union flag inspired shoes instead. Military style is still having a big influence on UK fashion and shoes are cropping up covered in buckles, zips and studs to tie in with the trend. Choose khaki colours and wear your military heels with this season’s ripped jeans and a fitted blazer, complete with epaulettes. The 20s look is big news this season and you can team your dropped waist dress with flapper girl flats like two-tone loafers in luxurious leather or low-heeled court shoes with a strap and buckle. What's your favorite summer shoe trend? :) Share! im all for wedges and gladiators!